Join us for a fun family day on the water! Kids paddle for free! All kids are FREE for this event! This event is a great opportunity to get the whole family out on the water! It is also a great way to give your kids the experience of paddling so they can decide if they want to join our kids camp, have a youth birthday party or participate in our fall kids league! There's no better way to spend time with your family than out on the water developing a hobby that you can all do together for years to come! We will have 2 different paddles this day to accommodate all skill levels of all ages. Minimum age is 6 years old for kids. This event is not only for families and children's everyone in our paddling community is welcome! Families: Parents pay $25 for the social paddle and kids get to come paddle with parents for free. 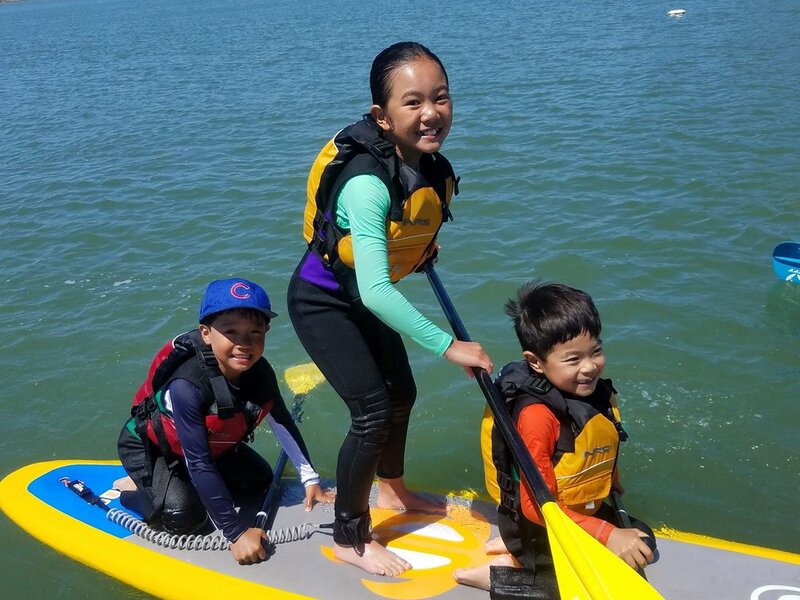 Experienced kids: For kids who have either taken an intro class, summer camp or kids league, we’ll have an instructor to lead them on a social paddle together. First timers: For kids who haven’t never paddled before, we’ll have an instructor to give them a short lesson on land and take everyone out on the inflatable Red Dragon or Supsquatch! As you can tell this will be a popular event for the summer so make sure you register early! After the social paddle, we’re sure that everyone will be hungry! We’ll have pizza delivered and drinks for everyone. Want to try out skateboards that uses a paddle? No problem, we’ll have two instructors setup a perimeter in the parking to show kids how to ride a skateboard.